Legend has it that the first cacao beans came from paradise and lent wisdom and power to the person that ate them. Deep in the tropical rainforests of central America, ancient Mayans used ground cocoa beans in wedding rituals and for healing magic. To the Aztecs it was known as the food of the gods; and it is said that the god Quetzalcoatl, was kicked out of paradise for giving chocolate to the human race. Most of us have experienced the ‘feel good factor’ of chocolate, its smooth exotic taste known to induce feelings of euphoria, even its aroma is enough to promote feelings of well being and happiness. But if you are reading this while munching on a Mars Bar, its time to think again. While mass produced store bought confectionery might taste good and have a small amount of nutritional benefits, this is sadly outweighed by vast amounts of chemicals, refined fats and sugars. 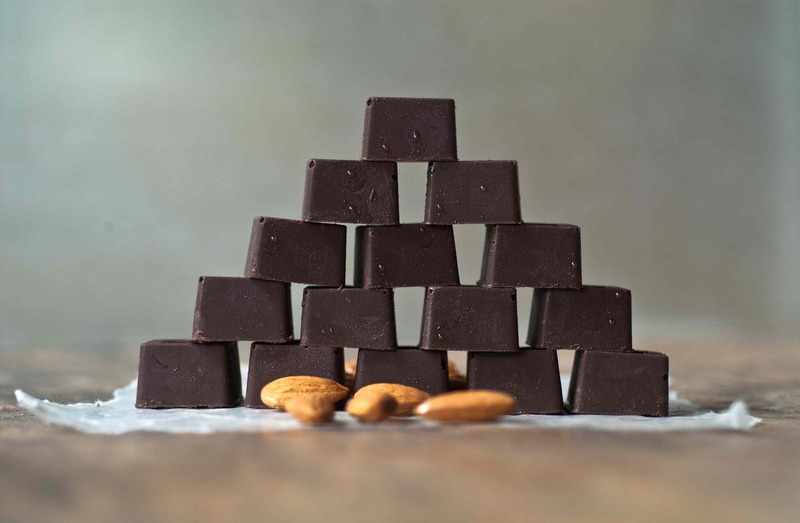 Raw chocolate, on the other hand provides a dose of pure natural goodness and is packed with magnesium, antioxidants and a taste far superior to anything you will find on a supermarket shelf. In its purest form chocolate contains an abundance of Tryptophan, a substance which triggers a reaction in the brain and creates a feeling of elation and giddiness. It is also packed with Anandamide a name derived from the Sanskrit word ananda, which means bliss. Also known as the love chemical, Anandamide induces feelings of euphoria…. just like falling in love. While cooking and processing chocolate destroys much of its natural goodness, raw chocolate is healthy for the mind, body and soul. A number of places in Bali are now making raw chocolate, but Alchemy, a quirky health cafe in Ubud has the best, with its gleaming refrigerator shelves stocked with a dazzling display of cakes, candy and chocolates that don’t just taste good, they are good for you. The slabs of dense chewy chocolate bars are seriously ‘to die for’ (or at least to ‘drive to Ubud for….’) I also love the homemade bounty bars filled with fresh shredded coconut, the dark peppermint infused Stevia Mint Drops and the coconut dusted truffles. 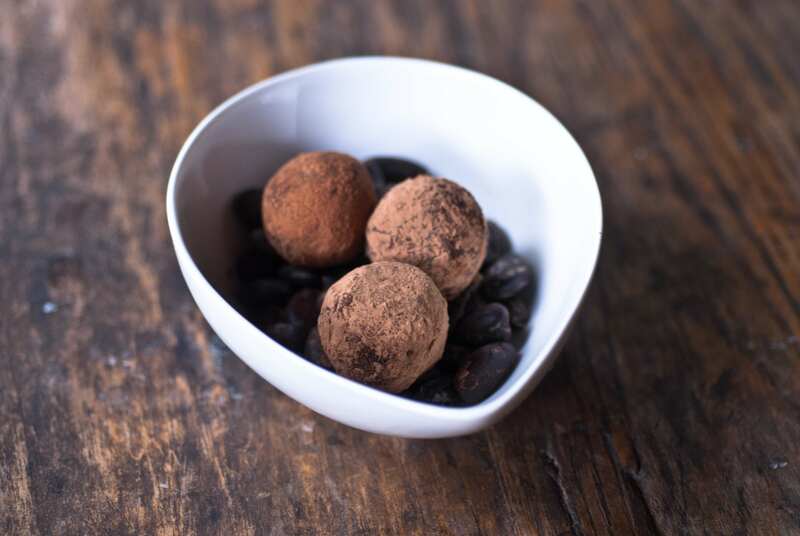 Bali Buddha also has a good selection, including lovely heart-shaped chocolate truffles, while Desa Seni serves up a tasty range of energy balls – just the thing after a yoga session. 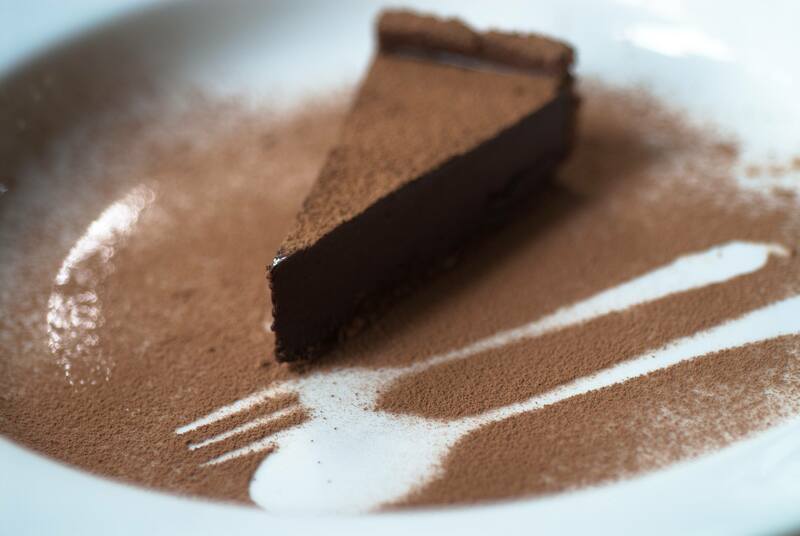 The raw chocolate dream pie at Clear Cafe in Ubud also deserves a mention – it is positively dreamy! It is also worth paying a visit to Five Elements in Mambal, a divine eco retreat offering gourmet raw cusisine that provides one of the most profound dining experiences on the island. Actually, the first time I tried raw chocolate was here and it was a moment I will never forget. One of the newest venues on Bali’s raw chocolate scene is the inspiring Bamboo Chocolate Factory, also in Mambal (just near the Green School.) The soaring bamboo building rises from a sea of tropical forests and has been created by Big Tree farms who work with local farmers to produce organic ingredients such as salt and pepper, vanilla, cashews and honey. You can join a tour of the factory, which starts with a cup of thick and creamy organic hot chocolate to get you in the mood. A guide will then lead you along the labyrinth of bamboo hallways and cavernous rooms, following the trail of the humble cacao bean as it is transformed into a delicious chocolate bar. If images of oompa loompas and rivers of chocolate are flowing through your mind, think again; but if you are remembering the movie ‘Chocolate’, with the beautiful Vianne sensually grinding beans on a stone you are a little closer, but still not thinking big enough. Actually, the six tonne, 70-year-old Mélangeur is so big it has its own room – with two giant granite rollers that crush the cacao beans (fermented, not roasted) into a thick paste. Twelve hours later the paste is ready for the conche which turns it into a smooth liquid, while a cold press separates the butter. In the cashew sorting room, nuts are hand selected and trimmed, before making their way into chocolate bars. Back in the tasting room you can try the fresh slabs of 70% bitter chocolate, which is also on sale, along with cold processed cacao powder, and cashew chocolate nibs. Chocolate-making workshops are planned to start from August so you will be able to create your own sublime concoctions.